The Wii U releases this Fall, and if they want to parallel the insane sales and fame of the first Wii, they will need some pretty heavy developer attention, and it seems like Ubisoft has stepped up to the task of helping this HD iteration of the Wii to stand up on it’s feet, and they did it using their flagship franchise, Assassin’s Creed, a franchise known for using the PlayStation 3 as it’s lead console, both in development and performance. Alex Hutchinson, the Creative Director for the third entry, says that having a map at your disposal while traversing the 18th century America, will greatly enhance your Assassin skills since it allows for better navigation and surrounding awareness. The said map will be on the screen in the middle of the WiiU controller, and the screen not only houses the map, but will turn into a weapon selection menu during combat. No longer will gamers have to stop the game and choose a different weapon because you can change your weapon right in the middle of a fight so you won’t have to fidget around with menus when you can just touch the screen and change from your gun to your tomahawk. There is a new combat move which Alex describes as, “charging into combat, taking out your first enemy, immediately killing a second with your tomahawk and knife, using a pistol to shoot a third and then switching using the controller to a smoke bomb to affect your escape.” This move is the Running Assassination and it will remind us of Hollywood-esque assassination scenes and this is supposed to take advantage of the WiiU controller’s screen in some way. If the WiiU version somehow turns out to be the best, it will force Sony and Microsoft to reassess their priorities and start cranking away on the reveal of their new consoles. Of course, in David Cage’s (Heavy Rain, Beyond: Two Souls) and my opinion, there is no need for new consoles right now and what we need is more innovation using the existing hardware but its perfectly possible that the WiiU might give even the PS3 a run for it’s money. 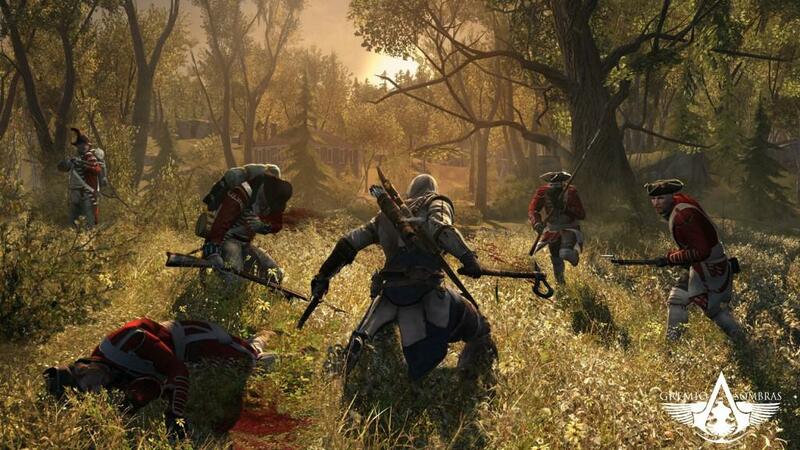 Assassin’s Creed III hits shelves on October 30th for all platforms, and utilizes a new engine called AnvilNext.